A BIG Congratulations to one of our super parents - John Hynes (Charlotte's Dad). 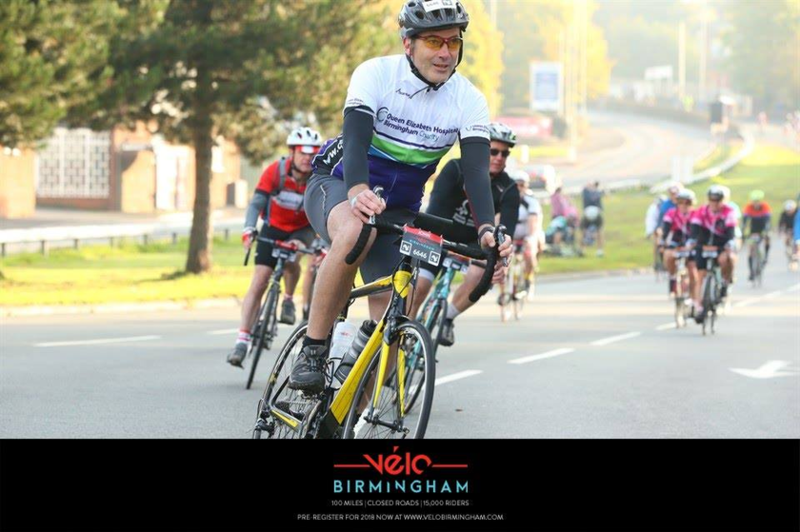 Mr. Hynes took part in the Velo 100 mile cycle race in the midlands this weekend to help raise money for the Queen Elizabeth Hospital in Birmingham. The race played host to 15,000 cyclists who took on the unforgettable 100 mile journey on completely closed roads at the inaugural Vélo Birmingham. The stunning route took the riders through the picturesque Worcestershire and Staffordshire countryside before returning to Birmingham. Mr. Hynes raised an incredible £1,000 for the Queen Elizabeth Hospital Birmingham which supports patients and families, including wounded UK military personnel and children with cancer.